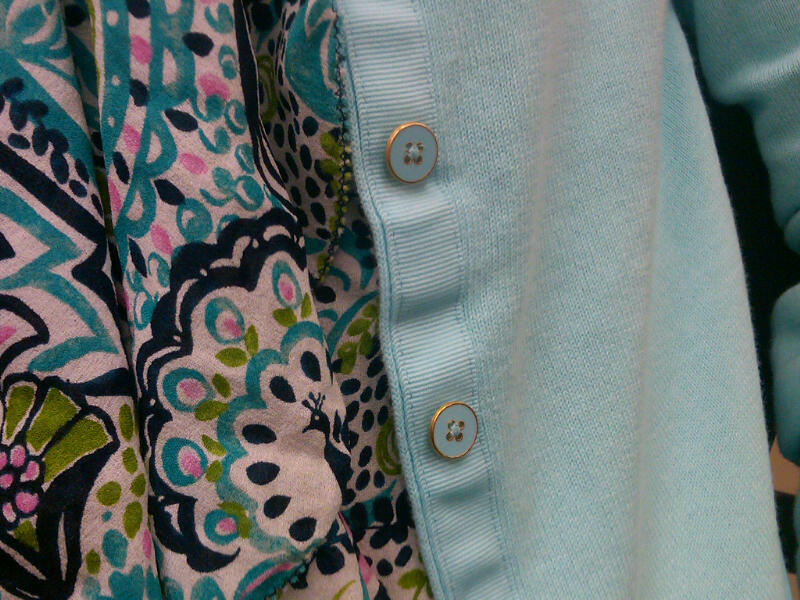 Wearing an old Lilly Pulitzer blouse with my new Lilly Pulitzer cardigan to work today... I honestly didn't really go out of my way to do this - I wear this blouse A LOT to work because it's so comfortable and easily pairs with navy or khaki... so it was easy to wear today which just happens to be National Wear Your Lilly day. :) Wearing it today with a navy skirt from Anthro. Are you wearing Lilly today? Shame on me! I had no idea it was wear your Lilly day! 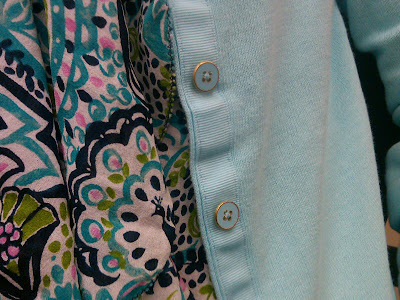 I adore those light blue buttons on your cardigan, so adorable!